We are all born with a set of strengths. These strengths sometimes come to us so naturally that we don’t recognise them as strengths, or perhaps we don’t credit them as strengths. Some people are naturally good at communicating – they have no particular education or training around communication yet they have a real talent when speaking and influencing others. Some people are naturally good at being assertive, speaking up, and creating change. Some people are naturally gifted at resolving or minimising conflict. 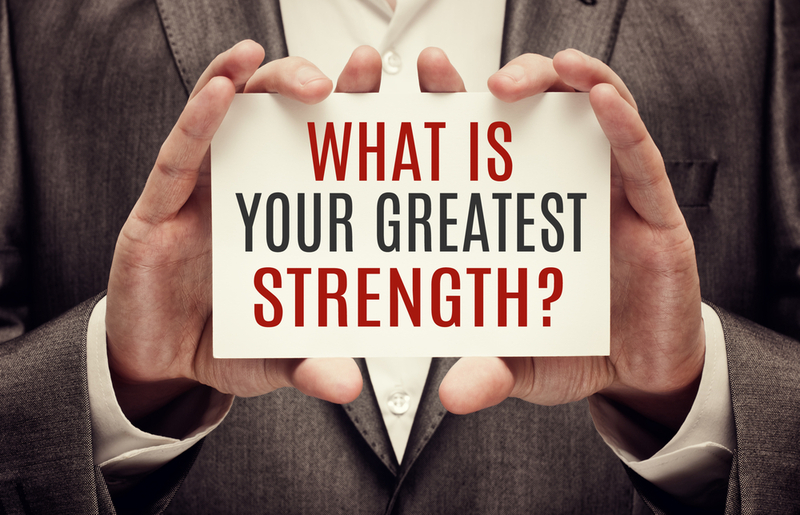 These strengths often become the cornerstone of our lives. We choose careers where we are able to utilise them fully and they become defining characteristics of who we are. What is so fascinating, though, is that our greatest strength can become our greatest weakness when it is overused. Imagine every personality trait or strength is a volume knob on a radio. When the knob is in that sweet spot, the noise coming out of the radio is perfect. You are able to hear the music clearly, it’s loud enough and it’s pleasant to be around. When that control knob gets turned up to the higher end, it becomes very loud. The music is unpleasant because it hurts your ears, the sound quality is distorted and tinny, and ultimately you want to move away from the radio. On the other hand, when the control knob gets turned too far down the other way, the music becomes so soft you can’t hear it. You might catch a note or two but you can’t figure out the lyrics and you know that you are missing the majority of the song. Our natural strengths are like this. When we are utilising them in healthy and resourceful ways we get great results and we feel good. When we turn them down, they stop being visible in our life and become very hard to see and hear and they are no longer of service. And sometimes when we are stressed or are out of our comfort zone, our strengths get turned up. They get bigger and louder and start to impact us in a negative way. They have now become a weakness. One of the most easily identifiable examples of this is with assertiveness. Assertiveness is an amazing strength to have. There are many people on the planet who would love to feel more assertive than what they are and they often look admiringly at the assertive people around them. The problem is that when assertiveness is overdone it becomes bullying. The assertive person has gone from the strength of clear direction and the ability to get things done, to pushing and shoving in a forceful way. Another example is the strength of being able to minimise conflict. When done well, everyone has the opportunity to speak and be heard and the conversation is led in a way where the outcome is successfully and peacefully reached. When overdone, though, the strength of minimising conflict becomes a weakness when the conflict is avoided but the parties involved have not spoken up and been heard effectively. Often in this situation the participants leave feeling frustrated or diminished in some way. For me, one of my greatest strengths is my adaptability. As a coach I have worked with 13 year olds and 65 year olds, men and women, and people from many different cultural backgrounds. My adaptability has allowed me to meet each of my clients where they are and connect to them from that place. Where my adaptability has become a weakness, though, is in intimate relationships – where I have adapted too far away from myself in pursuit of sustaining a relationship. It would be easy for me to say “Well, adaptability isn’t a good thing for me; it has created problems in my life so I am going to turn the volume of it right down”. This would be a tragedy because it is one of my greatest strengths! I just have it turned up too loudly in this particular area of my life and it has therefore become unresourceful. The skill is learning to regularly examine each area of your life and working out exactly where the volume knob (the strength) needs to be set to get the greatest results and to utilise that strength to its very fullest potential. Again, like most things it comes down to some robust self-examination, all the while being kind and loving to oneself. Next articleBreaking through"But I will look like a plonker!!"